Supported by a team of skilled designers, we are able to manufacture and export a quality range of Yarn Dyed Fabrics. These fabrics are designed using cotton & polyester yarns and are available in various colors and prints. Furthermore, we can customize our range in accordance with the clients’ given specifications. 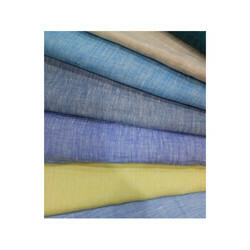 Our Shirting is featured with high quality of Polyester with Top Dyed Yarn having excellent and vibrant color pattern. Dope Dyed yarns is being used in designing these shirting along with the implementation of sophisticated techniques. We bring to our customers a range of Yarn Dyed Checks Fabrics that look appealing in their striking color combinations. Our vertically integrated production facility helps us in making large scale production at unbeatable prices. Our colorful range of yarn dyed fabrics includes multi dyed fabrics, cotton yarn dyed fabrics and polyester yarn dyed fabrics, which are available in bright assortment of colors. These yarn dyed fabrics are made of wool yarn, cotton yarn and polyester yarn. These cotton yarn dyed fabrics, polyester yarn dyed fabrics are customized as per the requirement of our clients. Oracle is a reputed large scale manufacturer, supplier and exporter of jacquard and other textile products. 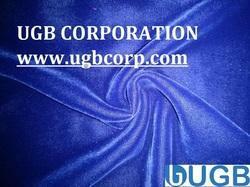 We are supplying quality textile products and jacquard to our clients throughout the world. Our inventory of jacquard is build from the finest variety of raw material and through organized process of production.